KidLit411 welcomes the talented Natasha Sinel to the author spotlight this week. 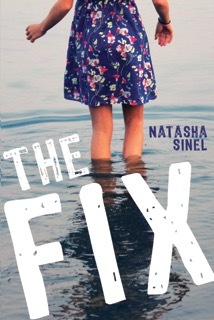 Natasha's debut YA novel, THE FIX is in stores now! Be sure to enter the giveaway at the end of this interview to win a SIGNED COPY from the author! I worked in business development at Showtime Networks for many years after I got my masters in business. Around when my first child was born, commuting into New York wasn’t right for me anymore, so I turned back to writing, which I’d done for fun since I was little. Tell us a little about your YA book, THE FIX. On the outside, seventeen-year-old Macy Lyons has it pretty good. Her family’s well-off, she’s dating the cute boy next door, she has plenty of friends, and although she long ago wrote her mother off as a superficial gym rat, she’s thankful to have allies in her loving, laid-back dad and her younger brother. The Fix follows two good-hearted teenagers coming to terms with the cards they were dealt. It’s also about the fixes we rely on to cope with our most shameful secrets and the hope and fear that come with meeting someone who challenges us to come clean. Right now I’m almost finished with a first draft of a new YA novel that I hope to get to my agent in the next few weeks. This goal is very ambitious because of the concurrent release of THE FIX! I’m always trying to figure this out! I wish I had one. Generally it goes like this—I carry a notebook around with me (seriously from room to room) to record thoughts on my current project. If I have an idea for a new project, I write NEW IDEA in large print at the top of the page and then I can forget about it until I need it. Outlining is my weakness. Stories come to me in bits and pieces—fully-formed scenes play out in my head, and I write them, but then they don’t always add up to a great plot—or at least in the right order. But writing these scenes helps me know my characters and their motivations. Sometimes, I get to use the original scenes in the novel, sometimes I don’t. And I rewrite A LOT. I’m learning how to streamline my process for my next project by creating a more solid structure before I start writing. For those just getting started, commit to finishing. Anyone can start a project when it’s fresh and new and exciting. It’s the finishing that’s the hard part. Find critique groups/partners. Revise. The revision should take longer than the first drafting. Read books on craft. Go to conferences. Don’t worry about the publishing part until the novel is perfected. Then do your research on querying agents, and be thorough. Follow each agent’s submission guidelines. Don’t expect things to happen quickly. If it does, you’ll be pleasantly surprised, but if it doesn’t, you’ll know it’s normal. If you’ve got a day job (as most writers do), block out time to write—an hour here or there—and protect it at all costs. Oh, and one of the most important things—READ. Read everything, but mostly books in your genre—you’ll learn craft by osmosis. Read the acknowledgments in the books you like—without even realizing it, you’ll get to know the business and its players too. 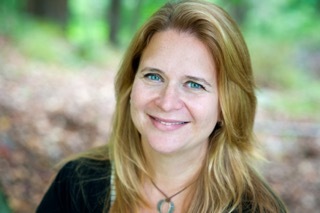 Natasha Sinel is a writer of young adult fiction. She graduated from Yale University with a B.A. in English and from the University of Michigan’s Ross School of Business with an M.B.A. Before beginning her career as an author, she was a director of business development at Showtime Networks. Born and raised in Washington, D.C., she now lives in Northern Westchester, New York with her husband and three sons. THE FIX (Sky Pony Press/Skyhorse Publishing 9/1/15) is her first YA novel. Find out more at www.natashasinel.com or follow her on Twitter or Facebook. Inspiring interview. Thanks for sharing. Revising is my downfall. Starting is always more fun. Thanks for the good advice and best wishes on your continued success! I love the image of walking around with a notebook in your back pocket going from room to room! Your novel sounds amazing. Congrats! Haha, I love the "that last sentence covers ten years"! Great interview, and the book sounds fabulous!